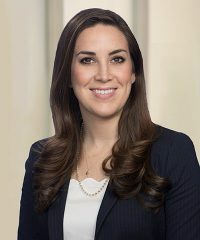 Kellyn Riccitelli, Vice President, joined Falcon in 2011. Prior to joining Falcon, Ms. Riccitelli was with KPMG, LLP in their Investment Management practice. She received a B.S. in Corporate Finance and Accounting from Bentley University and an M.B.A. from the McCallum Graduate School of Business at Bentley University. Ms. Riccitelli is a Certified Public Accountant.